Buttercream flowers in pretty reds and pinks create a basket of sweetness on this cake that’s perfect for Mother’s Day. Showcase your decorating skills using just a few basic tips to recreate this stunning cake! 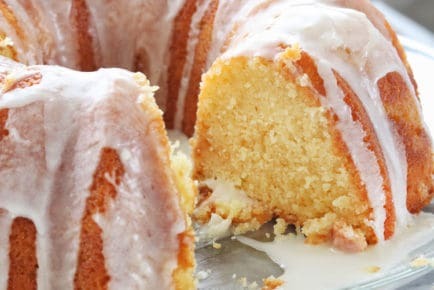 It’s sure to be your mom’s favorite Mother’s Day Cake ever! No one will appreciate your hard work and loving effort like mom! 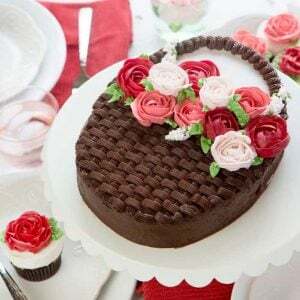 This Mother’s Day Cake is all about the flavors (chocolate and vanilla) and the beautiful basket of flowers. 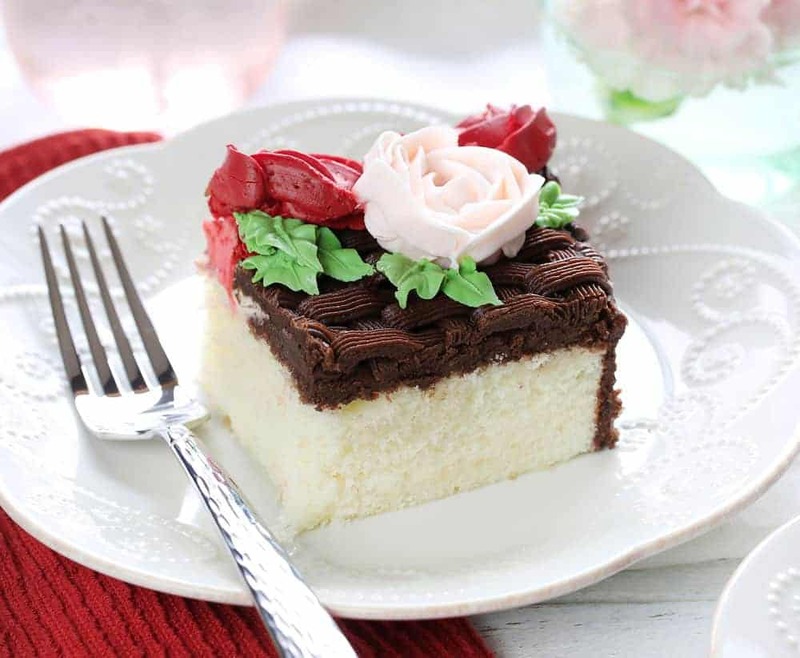 Real flowers may fade away, but this delicious cake will be something your mom never forgets! 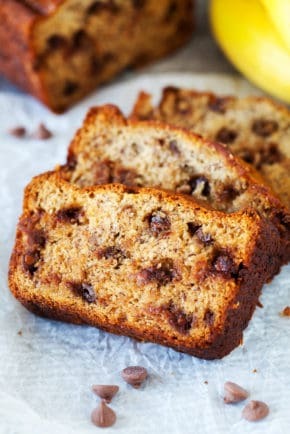 I do recommend making this cake over the course of a couple days. You will be baking a cake and preparing a couple buttercreams as well as piping flowers. The cake, buttercream, and buttercream flowers can all be prepared on day one while the assembly of the cake can be done on day 2. Separate vanilla buttercream into 3 bowls. One will remain white, one will be tinted red, and the other will be pink. Remove about 1/4 cup of the white and tint that green. 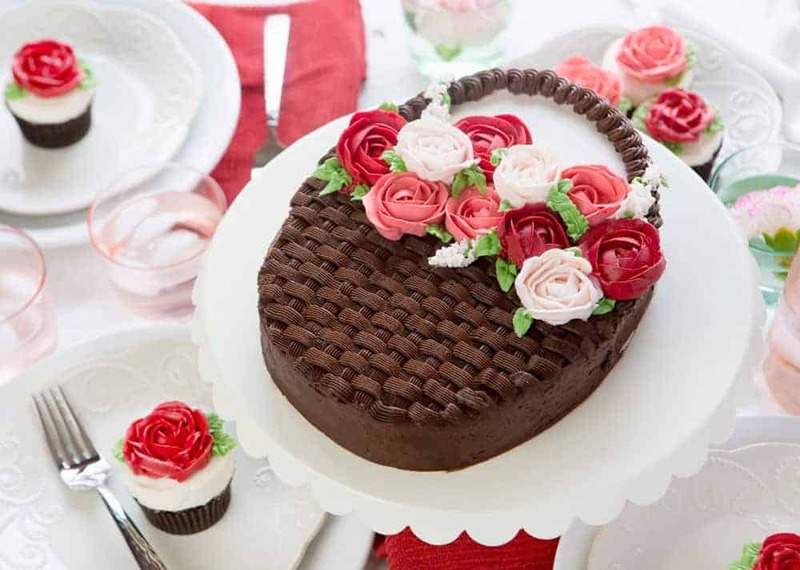 When cake is cooled, cut out a rough oval shape for the basket design. This works best with a serrated knife. Another tip for making it easier would me to create a template out of a piece of paper. Simply cut around the template. 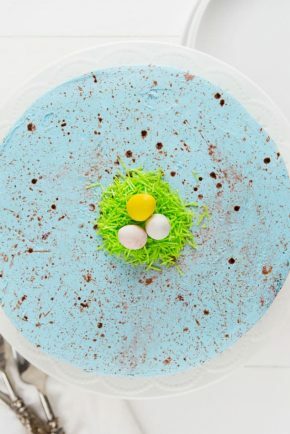 Place the oval cake on your cake plate or cake stand and cover with a thin layer of chocolate buttercream. Chill for about 15. min. Around the top half of the oval, add some vanilla buttercream. 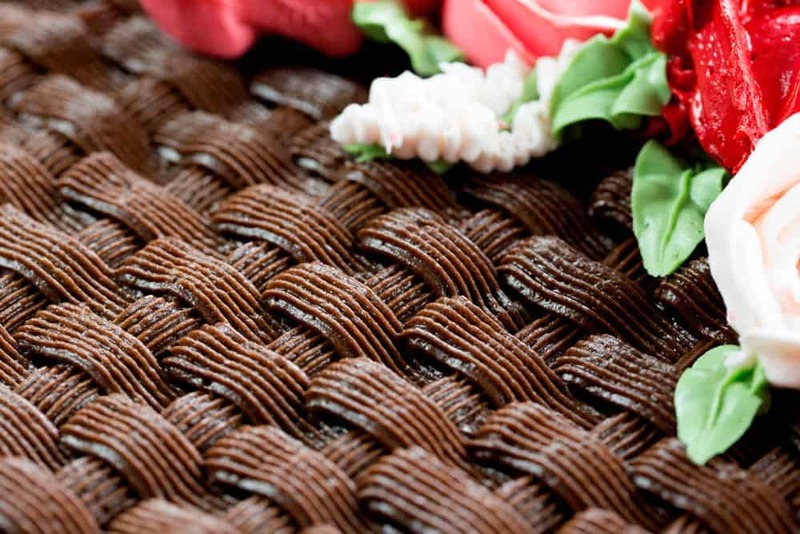 This can be rough around the edges as you will covering the edges with the chocolate basket handle, but it should be as flat and smooth as possible on top. When the roses are frozen, remove them and start to place them on the cake. I used 4 red, 3 pink, and 3 white, but you can use whatever combination of colors you prefer. 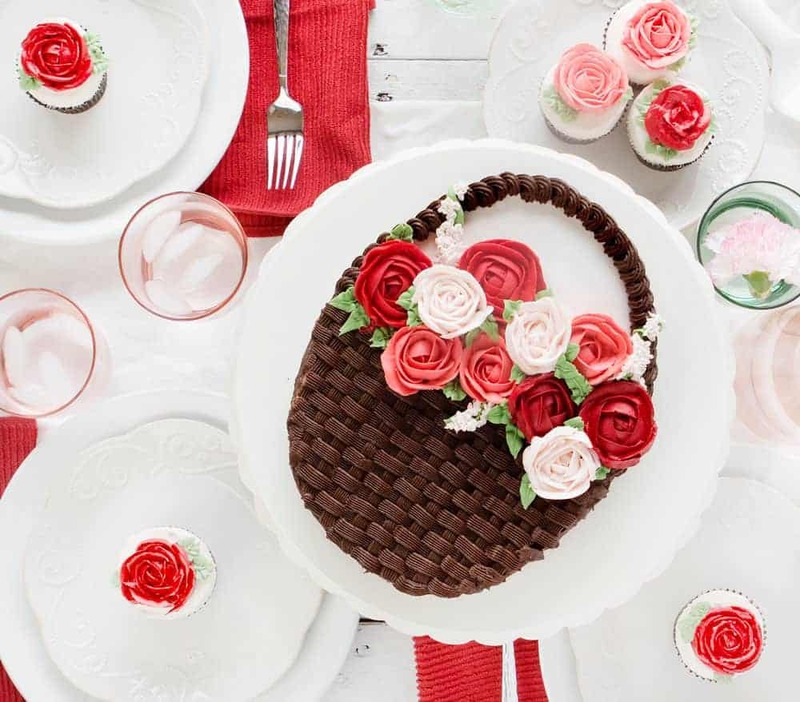 After you have placed your roses on the cake, go back in and pipe some green leaves with a #67 tip. If you have any buttercream left over, feel free to pipe more roses onto cupcakes to decorate your table! 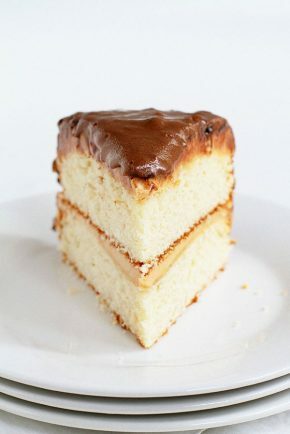 This simple and stunning Mother’s Day Cake is the perfect way to create something beautiful AND delicious for mom! Buttercream flowers in pretty reds and pinks create a basket of sweetness on this cake that’s perfect for Mother’s Day. Showcase your decorating skills using just a few basic tips to recreate this stunning cake! Cream the butter and sugar in a stand mixer until light a fluffy, about 5 minutes on high speed. While that is creaming, combine the egg whites, milk, and vanilla in a medium bowl and set aside. 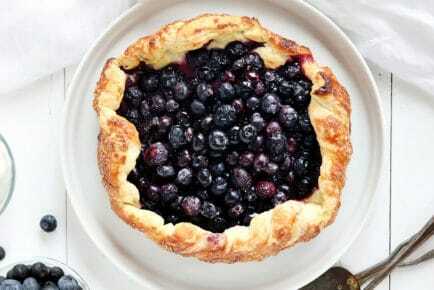 In another bowl, sift together the all-purpose and cake flours, baking powder, and salt. With the mixer on low, add in about ⅓ of the sifted dry ingredients to the creamed butter mixture. Repeat the same pattern; add your dry ingredients and then the remaining liquid. Add in the remaining flours. 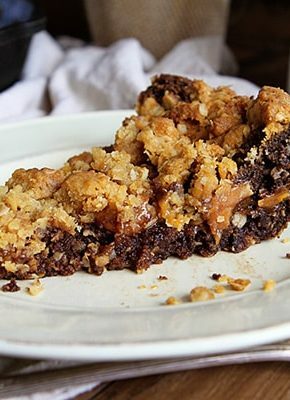 Pour immediately into 9x13 baking pan that has been prepared with pan release. Bake in preheated 350° F oven for approximately 25-30 minutes or a toothpick inserted is removed mostly clean. Put room temperature butter, vanilla, and salt into mixer. Add in powder sugar one cup at a time, alternating with the milk until you reach your desired consistency. May we have a video of this amazing cake!!??!!!! You are amazing Amanda. What a talented baker!!!!!! Thank you very much for all your recipes and time. You are as sweety as your cakes.